Slap a bunch of awesome things together and it's bound to be banging! 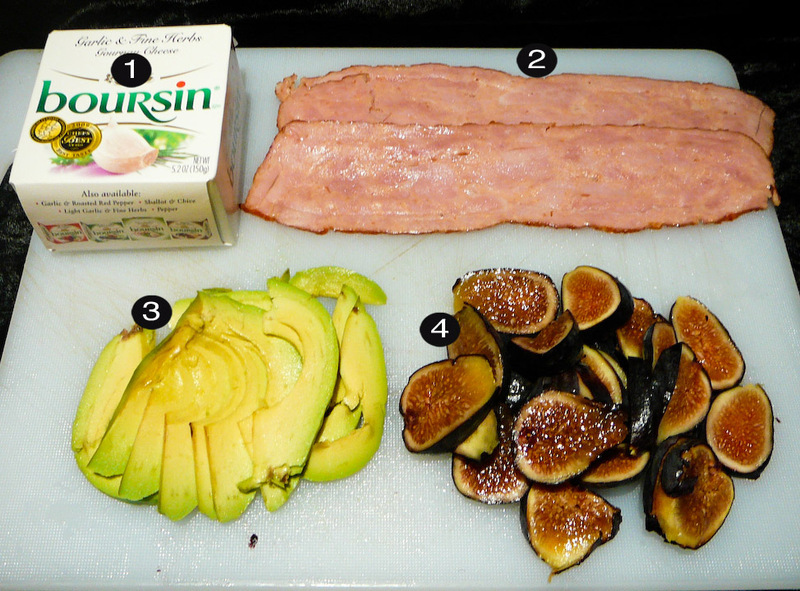 Sometimes I indulge myself in culinary experiments with various items that I know taste good on their own. Logic might dictate that combining random bits of awesome could rob each of them of what makes them great. I say bully to that! When in doubt, trust your instinct. This motto was reinforced when I threw together this conglomeration of goodies laying around my fridge into a mass of delicious decadence. Sure it wasn’t the prettiest concoction in my armory of awesome. But you know what? Each bite was a kaleidoscope of flavor that took me to the happy places I have enjoyed eating each of these sumptuous sundries. The lucky lady who observed with keen skepticism as I threw this all together ate her words after she ate this party in her mouth. What’s the lesson in all this? Nothing except that taste is in the tongue of the beholder. Now behold this, suckas! 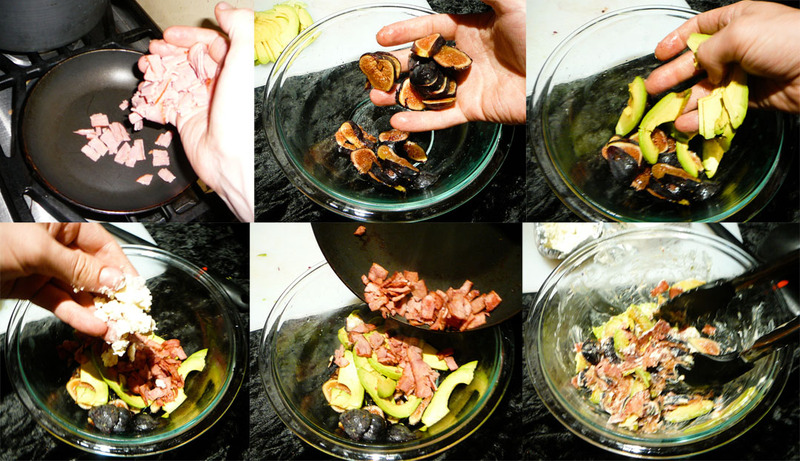 Cut the bacon into niblets and fry them in a pan until crispy. 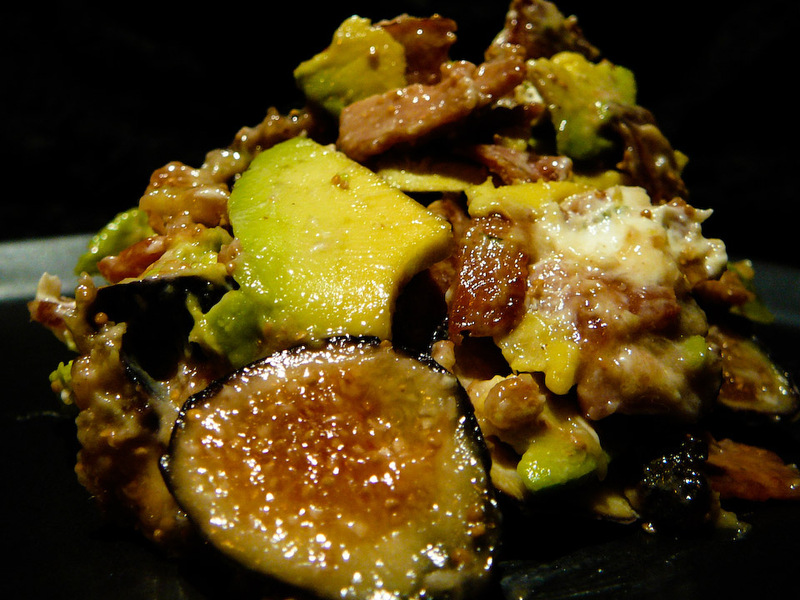 While the bacon sizzles, combine the figs, avocado and Boursin. Finally add the crispy bacon strip and mix it all around like the hokey pokey. You have yourself one ridiculously flavorful side dish! I don’t know which side you’d put this on, but is there any way you can separate your salads from your side dishes? You have a lot of wonderful salads, it’s hard to locate the delicious veggie side dishes.